Hospitals are infamously busy. Foot traffic rarely slows and never stops, not even overnight or on holidays. Things can get chaotic if you’re trying to manage the foot traffic of patients, visitors, and even visiting healthcare workers in your hospital setting. But it’s essential that you maintain crowds, in order to provide good hygiene, patient privacy, fairness in the order by which you serve visitors, and safety of the crowd. Every healthcare center has multiple service desks where operational efficiency must be maintained, and may even need to be improved. Desks like the emergency room counter, billing counter, pharmacy, and patient check-in must be run smoothly in order to provide an excellent level of care, and to avoid negative incidents. 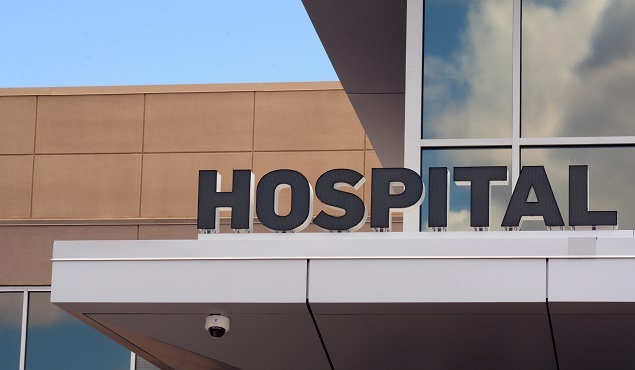 Thankfully, hospitals can turn to several tools for crowd control, one of the best of which is retractable belt barriers, or a combination of stanchions with sliding, retractable belts that can be used to connect each stanchion on multiple sides. These can be used to form different barriers and layouts, including winding lines, obstructions that communicate that no one should pass, and gaps between where the first person in line must wait and the window where a patient or visitor is being served. High-quality retractable belt stanchions should be durable, visible enough to be seen across a large room or plaza in a hospital, and also arranged in such a formation that visitors and patients will understand their use and adjust their actions accordingly. There are multiple types of retractable belt stanchions, including rope posts, chain posts, and more. These products are tested for durability, longevity, and rigidity so that you can be sure that you invest in high-quality products for your hospital. Retractable belt barriers can help improve hygiene in healthcare facilities. They’re easy to clean so that pathogens don’t spread, and can be used to create separation so that people don’t share illnesses while they wait. Hospital products should also be mobile, so that your cleaning staff can care for spills or the leaking of fluids appropriately. Then, the barriers can be reinstated. Belt barriers improve efficiency by helping patients and visitors to arrange themselves into single-file lines that are narrow enough to deter those who may try to pass ahead of others. They also help your staff to care for patients quickly and in an orderly fashion. This improves the patient experience, and even minimizes the amount of manpower needed to serve visitors. Retractable belt barriers have a professional appearance, and can be purchased in a variety of base and belt colors so that you can create a color theme. Good decor and soothing color schemes help patients and their visitors feel more comfortable and relaxed in what could be a very stressful environment for them. The establishment of barriers can prevent patients and their visitors from entering unsafe areas, like zones where radiation is in use, and can prevent people from colliding while hurrying to their destination. They can be used to keep foot traffic to the right side of a corridor if there is busy foot traffic, and can even help organize people into single-file lines to prevent bustling or shoving. VIP Crowd Control Inc. has a wide variety of retractable belt barriers that can serve your healthcare facility for many years. Visit their website to learn more about their products and shop for belt barriers that can improve the employee and patient experience in your hospital.